If there’s one snack brand that has a definite sense of humor, it’s Cheetos. The company introduced its “snackwear” fashion line this week — to help snack enthusiasts get their fix over Easter weekend without getting caught by anti-Cheeto family members — and we don’t know whether to howl with laughter or low-key plan to buy everything once the collection is for sale. 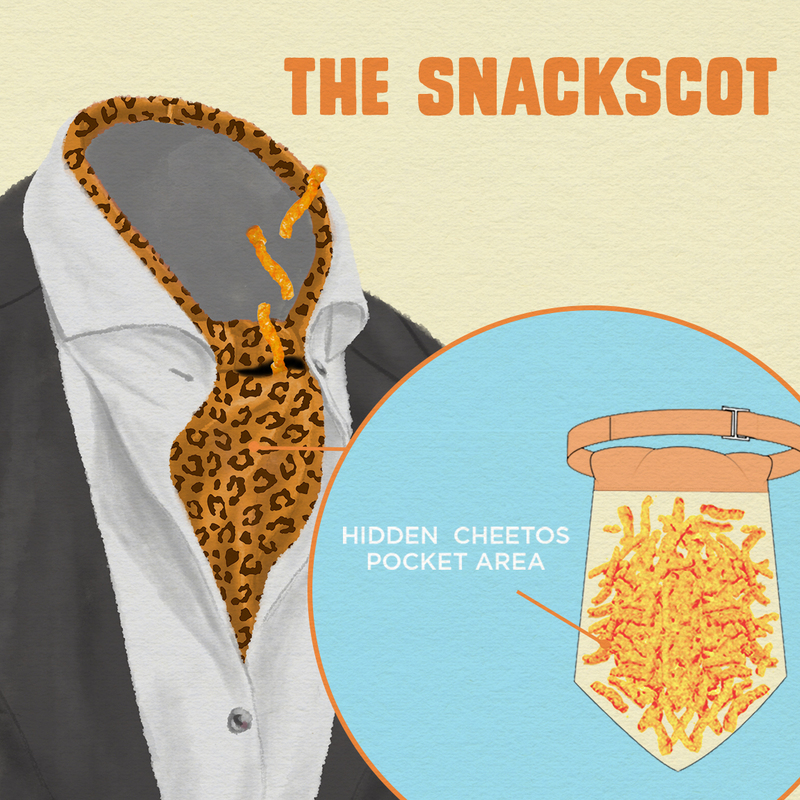 Cheetos has partnered with Betabrand — the fashion-specific crowdsourcing platform famous for launching those “yoga dress pants” everyone loves — on a line of clothing items that both help snackers to hide their Cheetos, and to rid themselves of the dreaded “Cheetle,” or Cheetos fingers. 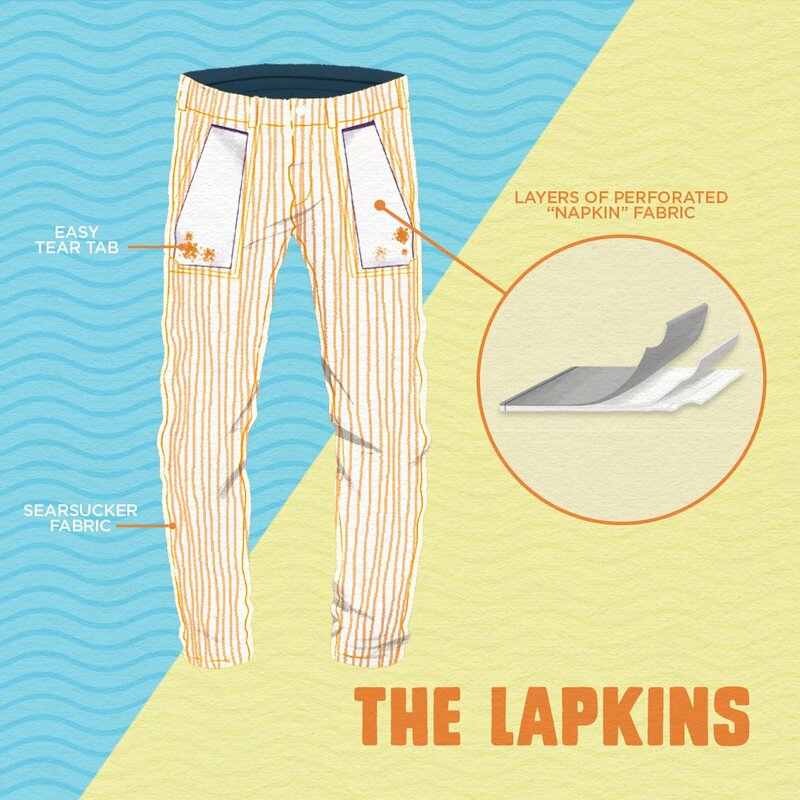 The clothes aren’t available yet, but right now you can go to Betabrand’s website and vote for the item you love most. Then, the top vote-getters will be manufactured and sold. If Cheetos’ last line of clothing and housewares is any indication, though, we have plenty of reason to get excited about the brand’s Easter collection. Wondering what’s in this ~exclusive~ snackwear line? 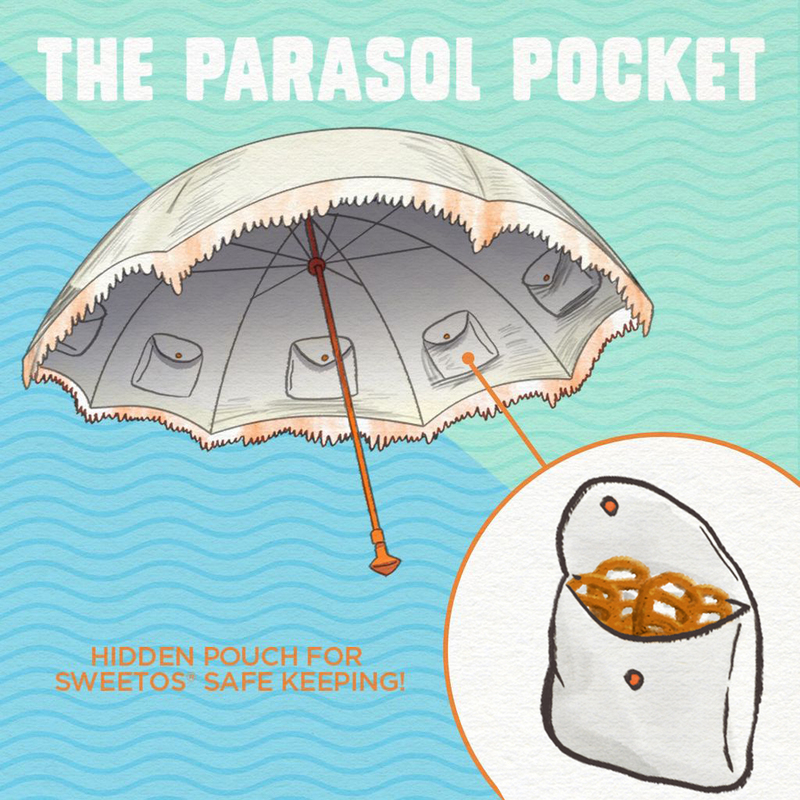 Complete with hidden pockets for your snacks. An absolutely genius — and chic! — invention with a hidden Cheetos pocket. 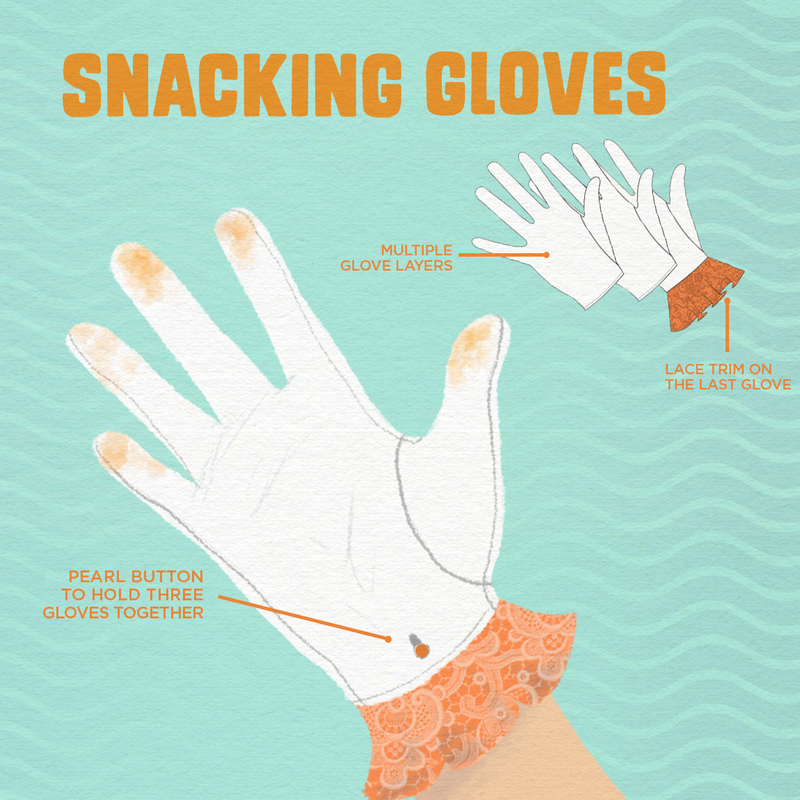 So you can discreetly clean off your Cheetos fingers without having to leave the table. These tri-layered gloves come complete with elegant, Easter-ready lace trim, and since there are three pairs in one, you have plenty of opportunities to snack undetected. Head to Cheetos’ Betabrand page to see the other items in the collection and vote for your faves — because you know you want to.